I have been raised around music my whole life and was introduced to the greats early on…the Rolling Stones, the Who, Pink Floyd were all bands I grew up loving. I have been to some awesome concerts in my lifetime, but one band I have not seen is Pink Floyd. Imagine my surprise to find out that not only is there an amazing Floyd tribute band here in Saint Louis, but also that they are the best Pink Floyd tribute band in the nation! They are called “El Monstero”, and they have been touring for over 12 years. They sell out every Saint Louis show they have, and fans come from all over to catch their amazing theatrical show. From the 7 members of the band, to the 3 beautiful ladies that steal the very beauty from the air…down to the wicked pyros and amazing costumes. This band seriously has it all. Started up by mastermind (and band bassist) Kevin Gagnepain. It runs around 3 hours long and has spared no expense to bring its fans the best show on the planet. 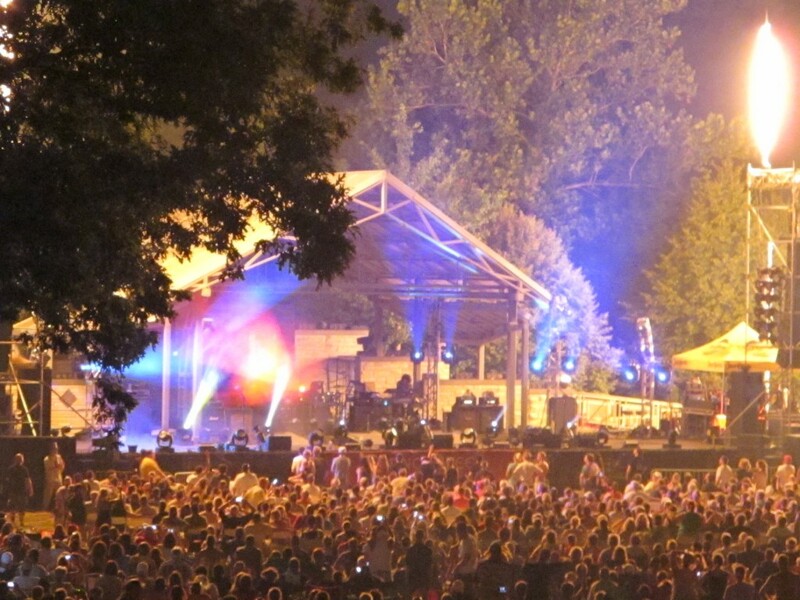 I was lucky enough to get asked to work their latest gig, “Monster in the Park”, held this year outdoors at Jefferson Barracks Amphitheatre, and let me tell you…what a night! People started arriving at 3pm, anxious to get good, comfortable seats. They didn’t care that it was hotter than Hades out! The event planners thought maybe a thousand folks would show up. I believe the final tally was in the seven thousand mark! It was great to hear the opening bands get the crowd ready. And, just as if on cue, the sun went down and El Monstero took the stage. I don’t know if they planned it that way, but it was impressive as hell! One of my best friends was with me; she has seen Pink Floyd live, and she felt like she was re-living the concert. The fireworks at the finale made it surreal. If you get a chance to see El Monstero live, jump at it! You will NOT be disappointed!